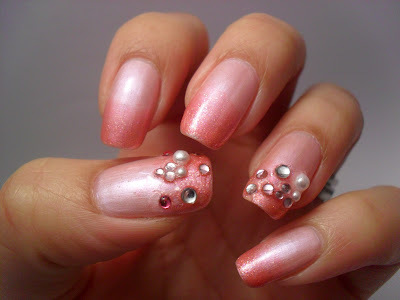 I was having a look at my nail art magazine recently and noticed that a lot of the manicures in it used pearls and jewels. I thought I'd do my own jewel encrusted manicure. I used nail glue to stick on some gems and pearls and also used a few from this sheet of stickers...which is looking pretty sparse at the moment. This wasn't my best manicure and I felt a bit weirded out with the texture at times (okay so that might be odd, but aren't we all? I mean, my husband gets the heebie geebies at the sight of Oak tree bark!) I wouldn't say it was practical, but it was fun whilst it lasted. I actually wore it for three days, hence the tip wear. 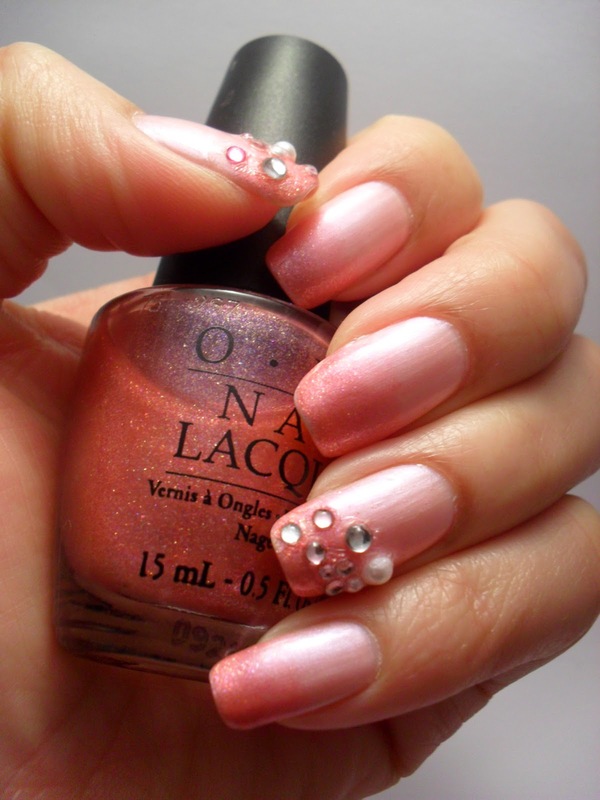 I love this manicure! So pretty! 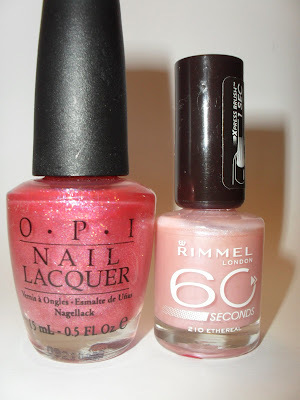 I must try nail glue for gems cos I tend to use clear polish and they usually ping off well before three days are up! No need to apologise for any lack of posts...I think you're doing fab considering you're just back at work with kiddies to look after and everything else that goes on in life! Well done you! I'm glad your nails are still looking as gorge! Have a great weekend! @RM, Thank you so much! I know what you mean, there is so much choice with the mags. I just picked the first I saw because as they are chock full of designs, you're bound to find something you like, lol! Nail glue is great at holding the gems on - none of mine fell off. this is so super pretty and girly hunny! Btw - did you cover the rhinestones and pearls in top coat? 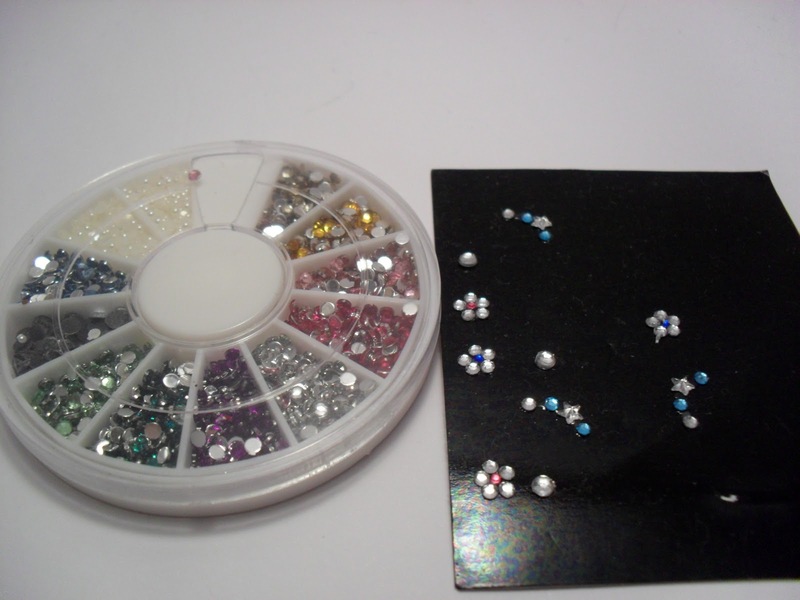 It would dull the shine of the rhinestones, so I would recommend using nail glue instead!